This is our premium package reserved for only the most serious of punters. Priced at $80 per week, the Punter Package gives you the very best product that identifies horses which are expected to be strong winning chances and shorten from their current available odds in the market. By purchasing this product, you will receive notifications direct to their phone when a bet is identified, normally before 9am the day of racing. You can expect between five and 15 betting opportunities each week with this service. 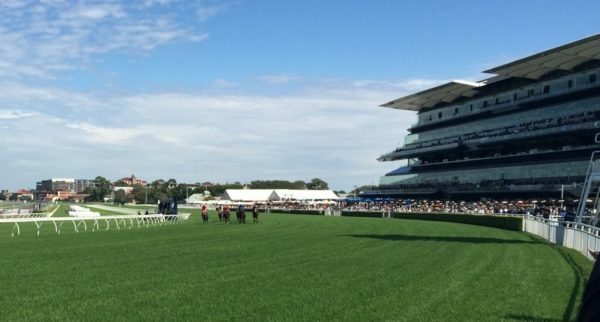 Subscribers should have accounts with Bet365, Crownbet, Ladbrokes, Sportsbet, Neds, Centrebet. A Betfair account is essential. There are two profitable ways we have identified to use this service. The first is to place bets with corporates right on 9am to lock in the best available price and to fully hedge your position on Betfair in the last five minutes of betting before the race. The second is to place bets with corporates right on 9am to lock in the best available price and to ride out the bets, knowing you have secured a price greater than the expected winning percentage in the long run. 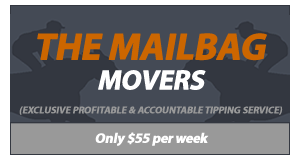 You will also receive Mounting Yard Mail for 5 meetings per week with notifications 3-5 minutes prior to each race with the top 4 numbers, thoughts on the key runners and accountable betting advice. Combining over 20 years of on-course experience, our team of horse behaviour specialists provide you with the final piece of the puzzle for successfully betting on horse racing markets. Get the late mail from the VIC, NSW and WA mounting yards, direct to your phone via notifications. All Mounting Yard Mail betting products are based off a 500 unit bank betting system. This package is made up of the Saturday metropolitan meeting from Victoria, Western Australia and New South Wales as well as a Wednesday metropolitan meetings from Victoria and Perth. Furthermore, Moonee Valley Friday night meetings will also be included. If for any reason, one of our Mounting Yard experts is indisposed for a meeting, a replacement meeting will be provided that week.